Blockchain Cruise Mediterranean Ticket Sale Ends! Leave a Comment on Blockchain Cruise Mediterranean Ticket Sale Ends! Time to go on a crypto voyage – Blockchain Cruise Mediterranean! Starting from Barcelona to Monaco (Monte Carlo, France, Italy) and Ibiza back to Barcelona September 7-11, 2018. The entire cruise vessel reserved for the event only. You can buy ticket with crypto or card. 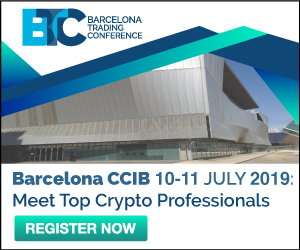 As for speakers they are: John McAfee – MGT Capital Investments Inc, Bobby Lee – Co-Founder of BTCC; Board Member of Bitcoin Foundation, Charlie Lee – Creator of Litecoin – and others. – Dear guests! Please, take into account that the replacement and addition of two passengers to the cabins (if you are alone) are no longer available. We do everything possible to send documents and confirmations of reservation in time. We ask you to treat with understanding – tomorrow all sales will be closed. Further, neither buy nor change anything is impossible. This is a ship and they have strict procedures. Thank you for understanding! See you on the board!